This little gadget is such a genius idea. 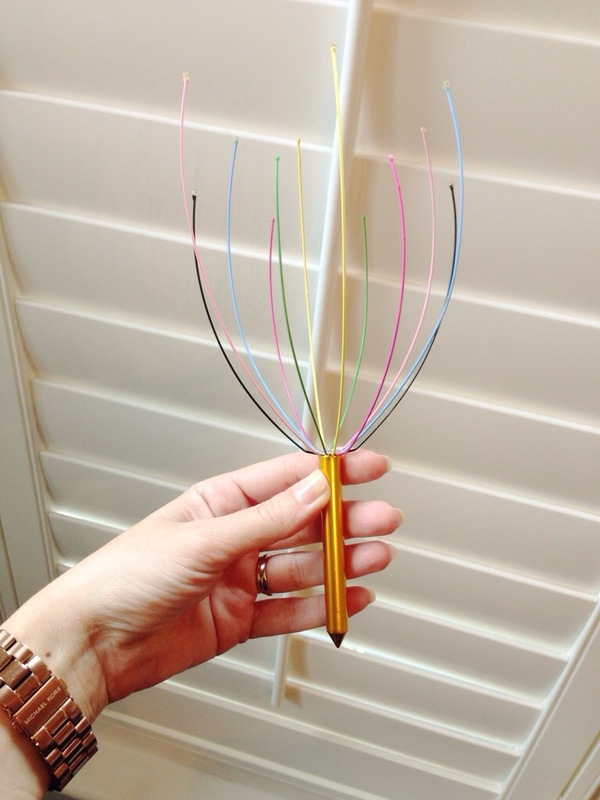 I know these head massagers are nothing new and they’ve been around for yonks! I’ve never owned one and was given this as a gift, firstly it’s pretty and looks nice on my dressing table and the feeling when you gently massage your head with it sends a little tingle down your spine and feels very relaxing. Just what the doctor ordered after a long day at work!